(2012). Experimental Investigation on the Effect of Parameters Influencing the Performance of a Horizontal Styrene-Water Separator. Iranian Journal of Chemical Engineering(IJChE), 9(3), 48-54.
. "Experimental Investigation on the Effect of Parameters Influencing the Performance of a Horizontal Styrene-Water Separator". 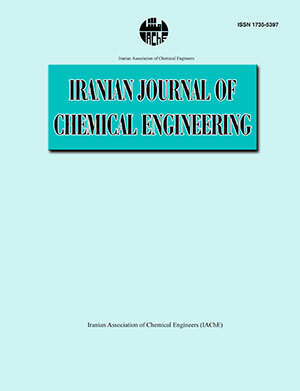 Iranian Journal of Chemical Engineering(IJChE), 9, 3, 2012, 48-54. (2012). 'Experimental Investigation on the Effect of Parameters Influencing the Performance of a Horizontal Styrene-Water Separator', Iranian Journal of Chemical Engineering(IJChE), 9(3), pp. 48-54. Experimental Investigation on the Effect of Parameters Influencing the Performance of a Horizontal Styrene-Water Separator. Iranian Journal of Chemical Engineering(IJChE), 2012; 9(3): 48-54.